In an already event-packed year, the Cannes Yachting Festival brings an added touch of class to the French Riviera as the summer comes to an end. The 40th edition takes place from 12-17th September 2017 and is celebrated for being one of the biggest boat shows in the world. Get in touch with broker Kent Chamberlain, of Chamberlain Yachts, for an exclusive introduction to the world of yachting. Epitomizing the luxury of the Cote d’Azur, this spectacular yachting festival consistently attracts prestigious brands such as Breitling, American Express, Lisi Lopez and Maserati. This year, we at Chamberlain are excited to see several new debuts in Cannes. 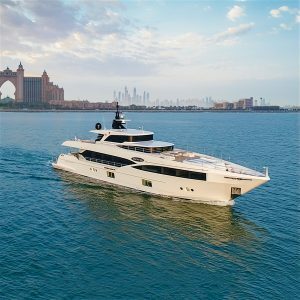 The 32-metre M/Y Majesty 100 (Nahar) is Gulf Craft’s exciting debut tri-deck vessel. She was designed with family use in mind, but is versatile enough for new owners since comfort is a top priority. The spacious yacht carries up to 12 people (not including crew) and folding balconies make the space deceptively accommodating. The sleek and sporty motor yacht is bound to make waves with its UAE-Mediterranean crossover appeal. More familiar yachts will also be in Mediterranean during the show. The 2008 170 M/Y Latitude is a popular charter boat, due to its spacious lay out and great value. Built by the Italian shipyard Benetti, Latitude is in great condition and is able to accommodate up to 12 guests. The exterior was designed by Stefano Natucci, but the interior reflects the 1920s and 30s cruise liners with an art deco inspiration. Cherry wood paneling and marble are complemented by modern touches of stainless steel. Latitude has a range of 5,000 nautical miles at 15 knots and is manned by a dedicated crew of 13, under Captain Jean Dumarais. Finally, keep an eye out for some of the latest additions to the Mangusta family. The 165e falls under Mangusta’s Maxi Open Yachts. M/Y Black Legend and M/Y Da Vinci are both 2017 models, standing at 49.9m. Built for 15 guests and 9 crew, the 165e reaches a maximum speed of 37 knots at half load. At 20 knots, the yacht achieves a range of 900 nautical miles. Hull #14 is under construction, nearing décor-ready status. It is due to be finished in June 2018 and we look forward to seeing the another Mangusta 165e on the water. In the meantime, find Mangusta at Cannes at stands JETEE009 and JETEE177. Find out more about the yachts presented at Cannes by getting in touch with Kent, of Chamberlain Yachts. With over 37 years’ experience in the yachting industry, Chamberlain is a reliable and experienced guide to the world of yachts. The festival, also known as Cannes Boat Show, is celebrated for its variety of boats, including sailing yachts, multi-hulls and catamarans of all sizes. More than 600 superyachts are expected to fill up the Bay of Cannes, including more than 100 premieres of the finest new vessels. The show will take place in Cannes’ two marinas, Le Vieux Port and Port Pierre Canto, but an extra venue has been added to celebrate the show’s fortieth anniversary. 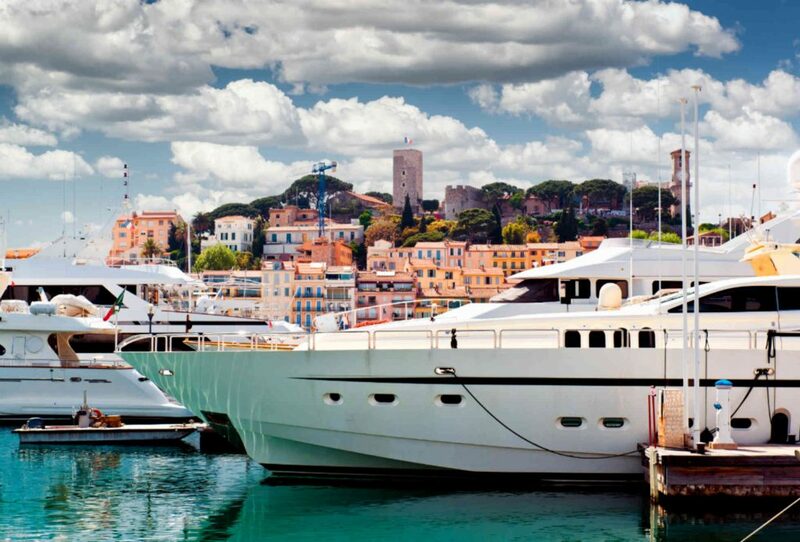 A new ‘Luxury Gallery’ exhibition in the Palais de Festivals will host a number of premium brands related to the superyacht lifestyle, covering everything from private aviation to designer accessories. The show has established itself as one of the most important in the yachting industry and many shipbuilders and brokers say they sell more yachts here than at any other international show. Last year’s festival broke the record for the number of attending boats and is now officially the largest European in-water show. The 2016 edition welcomed 51,000 visitors and 530 exhibitors; 60% of whom came from abroad. An impressive 107 world premieres took place and a total of 630 boats were showcased. The boats ranged between 22 and 52 meters. Cannes has a reputation for glamour and luxury, which the Cannes Yachting Festival exemplifies. 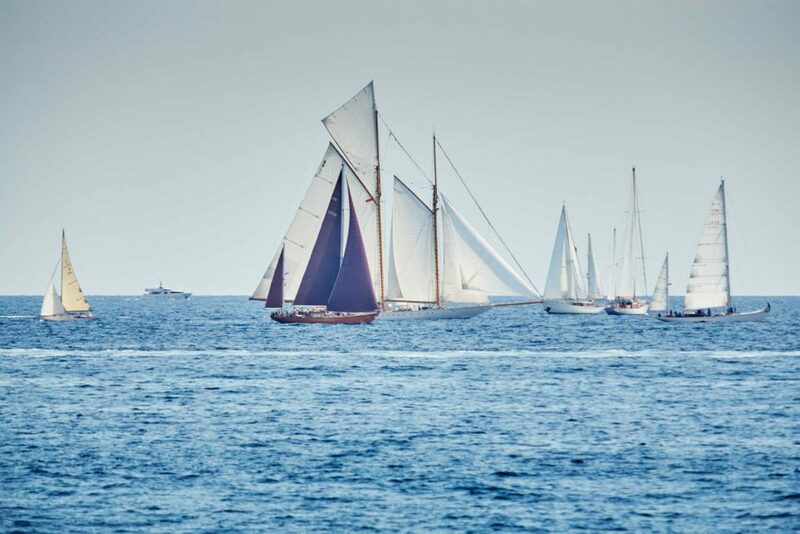 The Concours d’Elegance will also return to Vieux Port Cannes with its unique parade of vintage and modern-day boats of 12 meters or less. It’s a fascinating depiction of the Riviera’s rich yachting history with boats of 12 meters or less. A VIP programme is available to visitors who obtain the exclusive Carte Riviera. The card gives numerous privileges and custom-made experiences including transfers by official Festival boats and a personal tour of the show. It also includes access to the concierge service and VIP Club. The Cannes Yachting Festival is a wonderful place to network with other yachting enthusiasts and industry insiders. La Terrasse, a panoramic VIP club on the roof of the Palais des Festivals, holds exclusive events throughout the week, capitalizing on the prominence of its Croisette location. There are a number of upmarket restaurants for fine dining and exclusive lounge bars where socializing continues after the sun sets. The fashionable Mantel restaurant is a popular choice, but Michelin-starred Le Park 45 and Le 360 with its panoramic views are other good places for socializing in style. If you would like any information about Cannes Yachting Festival or if you are considering investing in a yacht, please contact Chamberlain Yachts to arrange visits.